BCN Checkpoint runs a comprehensive programme of services which cater specifically to people living with HIV, including personalised support and counselling sessions as well as group information sessions with medical and scientific experts. These services are a part of INFOTRAT, a state of the art nationwide programme that we have been running since 1994. These are individual emotional support and counselling sessions with one of our facilitators, who are also HIV+ and with proven expertise in helping and accompanying each user in taking decisions. These are group information sessions held periodically on the BCN Checkpoint premises. Experts on different matters related with HIV are invited to take part and the sessions are conducted by one of our facilitators who dynamises interaction among those present, encouraging them to exchange opinions on health related issues and therapy options among other things. This is an annual seminar that brings together experts on different areas related to HIV/AIDS issues to present the latest medical and scientific advances in a close and easily comprehensible fashion. The day forum is also a space for networking and the exchange of experiences among the 400 people who attend every year. 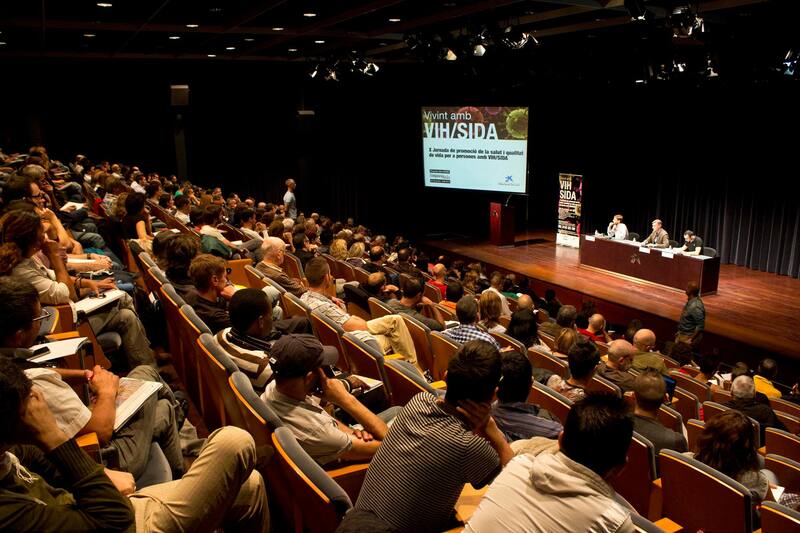 More information at jornadesvih.org.